Yo! Check out this SICK wig. 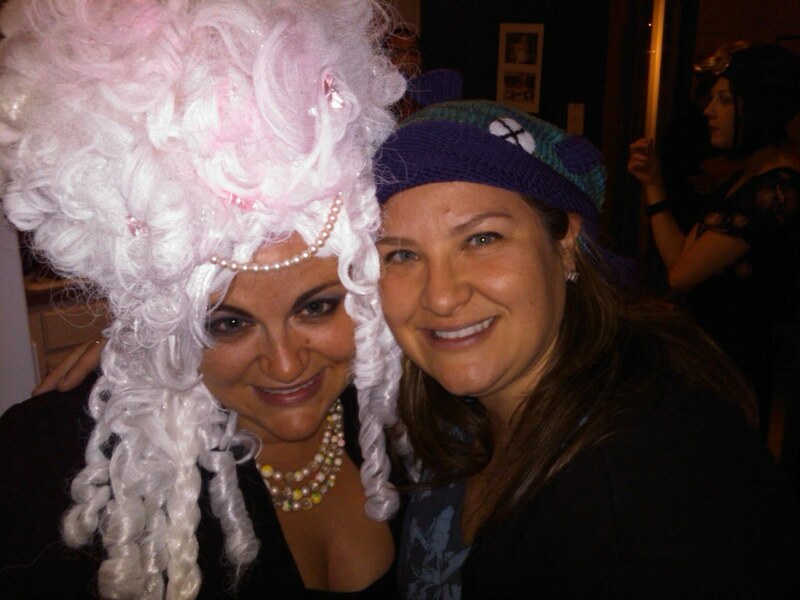 I really wanted a Marie Antoinette-style wig for this party we were hosting, so I went online and found my gal at Sweet Hayseed's Wearable Wonders! I contacted her with my dreams and my budget and she came up with a brilliant wig. Seriously, I love it. I might start wearing it around the house. It makes me smile. It also makes my sister smile, apparently. 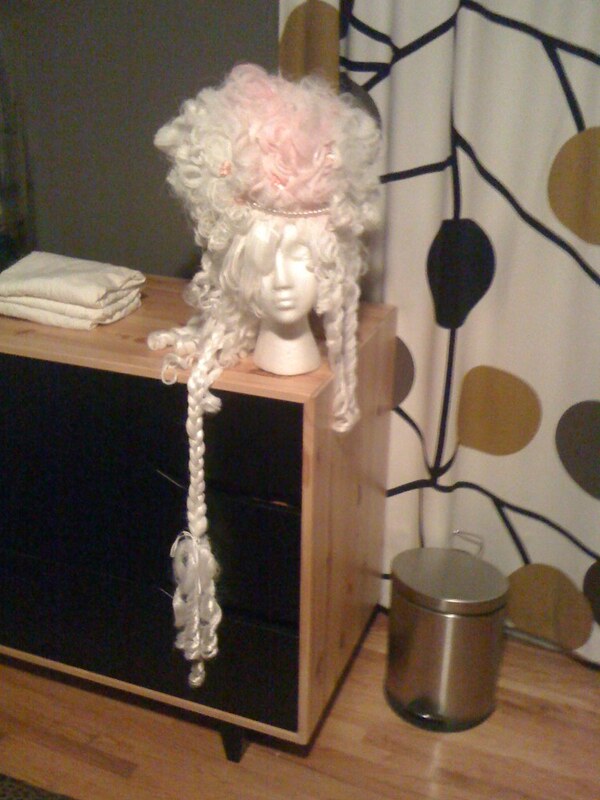 She designs all kinds of wacky wigs and other hair accessories. She's legit. For real. She's even done some work for Prince Poppycock. I think it's gonna be my new thing. Outrageous wigs. Word.